I feel like I've tried every tanning range going. mousse is my tan formula of choice but I often find a fake tan to be too subtle for the result I'm after. I'd not seen Sunkissed before but I love trying out a new brand. This one is on the more affordable end of the market, £3.99 for a tan is great but there's often the worry that something 'that' cheap might not be any good. I was excited to find out. The packaging was nothing out of the ordinary, brown and gold with a pump dispenser, kind of what you would expect really. However I knew it was going to impress me from the moment I squirted the mousse on to the tanning mitt. I was really pleased I was trying out the Sunkissed mousse in Dark, I find anything lighter never seems to do anything to me. But this mousse was thick and a really dark chocolate colour, I had high hopes! It has a gorgeous coconut smell and I found that with a touch of moisturiser it didn't cling to any dry patches on my knees or elbows, or that annoying part on my ankle that is my complete 'I'm wearing fake tan' giveaway! The tinted formula made it easy to see where I applied and the aloe vera and glycerine moisturised the skin and made it feel really soft. Make sure that any moisturiser is only applied on the dry patches as on normal skin it can result in streakiness. This tan develops in 8 hours and as usual I applied before bed and left it to work over night. I find that when washing off a tan it's best to do more of a rinse than a thorough wash with shower gel as that removes a lot more of the colour. I was so impressed with the colour I was left with. my arms are ever so slightly more tanned due to catching the sun last week so it helps to enhance a natural tan too. With just one application I was a lovely golden brown. I didn't feel the need to apply another coat like I do with many other dark tans. There's no alcohol in this tan either so your skin won't dry out but it's always best to moisturise daily to make sure it fades evenly. The tan lasted about 5 days before it started to fade, I have to say Sunkissed have really impressed me! 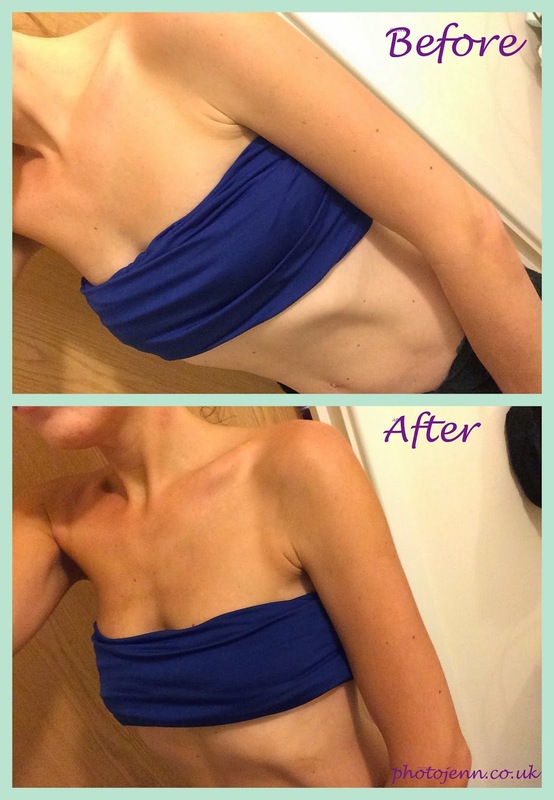 It might have replaced St Moriz in my go-to budget tan! 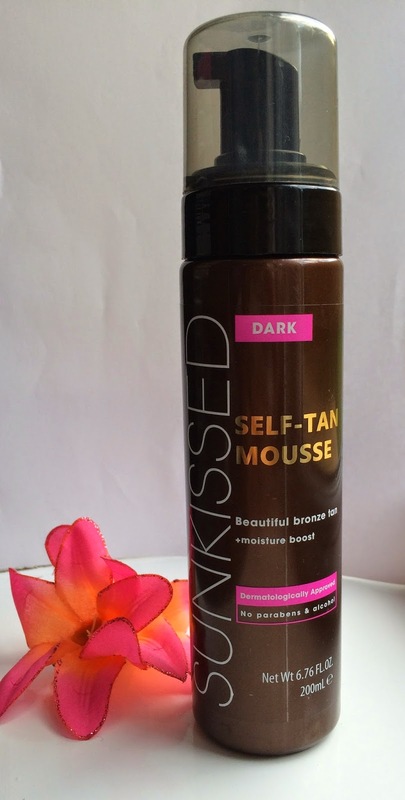 You can buy Sunkissed products at Superdug and this one is just £3.99! A complete bargain for something that really works!